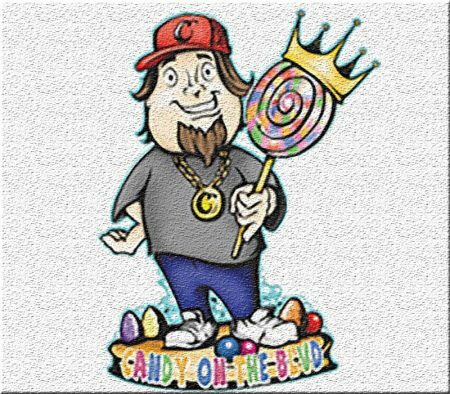 Rick Harrison, owner of Pawn Plaza, announced the highly anticipated opening of fellow “Pawn Star” Chumlee’s Candy on the Blvd today. Chumlee’s Candy on the Blvd is co-owned by Austin “Chumlee” Russell and his younger brother Sage Russell and is now open Wednesdays through Sundays from 12 – 8 p.m.
Chumlee’s Candy on the Blvd features a combination of Chumlee’s favorite candies such as Bottle Caps and Razzles; nostalgic favorites including candy cigarettes, candy buttons, Turkish taffy, Niklnips and Astro Pops, among many others and bulk candy such as salt water taffy, gummy bears and much, much more! “Everyone thinks Chum is so sweet, he should make some money off that reputation, right? Maybe now he’ll learn something about how to run a business and what to look for in a hard-working employee? Just kidding, I wish him lots of luck and can’t wait to steal a few candies from the shop,” said Rick Harrison, Pawn Star and owner of Pawn Plaza and Gold & Silver Pawn. “This was a great way to start a business with my younger brother and get him started out in the right direction now that he just turned 21. And, who doesn’t like candy? I challenge everyone to come down and play Beanboozled with me before I get Beanboozled out,” Chumlee says with a chuckle. Chumlee’s Candy on the Blvd joins Jared’s Old Fashioned Hot Dogs & Hamburgers, Elite Motor Rentals, BodySpa and Salon, So-Cal Speed Shop and Rick’s Rollin Smoke BBQ & Tavern at the colorful dining and retail destination.